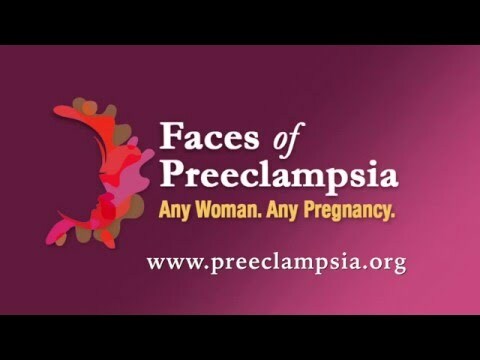 Chicago, Illinois – October 18, 2015 – The Preeclampsia Foundation has announced that Shannon Bainbridge, PhD, and Richard Burwick, MD, are the recipients of its 2015 Vision Grants. These two $20,000 research grants were presented last night at the 2015 North American Society for the Study of Hypertension in Pregnancy (NASSHP) conference held in Chicago, Illinois. Visions grants are awarded to the strongest scientific proposals recommended by the Foundation’s scientific review committee with a further review by a consumer advisory board. The Foundation’s Board of Directors renders the final decision on those recommendations. Dr. Shannon Bainbridge is an assistant professor in the Interdisciplinary School of Health Sciences and an affiliate investigator at the Ottawa Hospital Research Institute in Canada. She obtained her PhD from Queen’s University in Kingston, ON, and went on to complete two post-doctoral fellowships, the first at Magee-Womens Research Institute in Pittsburgh, PA, and the second at the Samuel Lunenfeld Research Institute at Mount Sinai Hospital in Toronto, ON. The primary aim of Dr. Bainbridge’s research – "The Role of FGL2 in the Pathophysiology of Preeclampsia" – is to conclusively identify distinct subpopulations of preeclampsia patients who may have different underlying disease. Dr. Richard Burwick received his MD from the University of California San Francisco School of Medicine and his MPH in Epidemiology and Biostatistics from the University of California Berkeley School of Public Health. He completed a residency in Obstetrics and Gynecology at Harbor-UCLA Medical Center, and a fellowship in Maternal-Fetal Medicine at Brigham and Women’s Hospital in Boston, MA. He is currently as assistant professor in Obstetrics and Gynecology at Oregon Health & Science University. Dr. Burwick’s research project is entitled "Complement in the Brain and its Association with Centrally Mediated Hypertension and Sympathetic Nerve Activity in Preeclampsia." His work on the role of complement proteins in preeclampsia has garnered awards from Harvard Medical School, the Society for Maternal-Fetal Medicine, and NASSHP, and he has an ongoing study with investigators in Colombia, South America. "The Vision Grant will enable me to direct my research in a novel and independent trajectory and importantly will allow me to gather insights directly from women with preeclampsia," said Dr. Burwick.